Opportunity Zones (OZs) could lead to greater infusions of capital into historically underinvested neighborhoods. And with over 250 OZs in Georgia, only 27 of which are in Atlanta, much of our state is eligible for investment. A bipartisan idea injected into the new federal tax law, OZs are an innovation that could narrow a capital gap in the market. When realized capital gains are reinvested into OZs, investors become eligible to receive tiered tax benefits tied to investments at 5-, 7-, and 10-year terms. Some estimates suggest the market to qualify for this tax credit is as large as $6 trillion. But use this as a warning sign: The legislation provides investors with the ability to invest without regard to the social impacts of their investments. While the tax credits could lead to unprecedented investments in low-income communities, we need safeguards. We need transparency in the reporting on investments and on their local impacts, and we need safeguards that prevent investors from extracting wealth from low income communities and benefiting from public dollars. We want OZs to work for communities, we do not want communities to work for OZs. The recently proposed rules contain neither requirement. One of the only requirements of funds is that they not be invested in “sin” businesses: liquor stores, massage parlors, tanning salons, casinos, and the like. So it should not be a surprise that many community development leaders have sounded the alarm. Will investors be motivated to build affordable housing? Or will OZs simply speed gentrification and displacement. Some funds are championing investments in equitable developments. Enterprise Community Partners, one of the country’s largest nonprofit development banks, is raising a $250 million fund – the Emergent Communities Fund – for the southeast. With an initial focus on South Carolina and Virginia, they seek to make sure OZs are used for main street community development in smaller cities in our backyard. But OZ investments are not limited to real estate. Village Capital, led by Atlanta-native Ross Baird, is raising a fund to invest in early-stage startups and real estate in OZs. And LISC is providing consulting services, including administrative, management and impact measurement, for investors with mission-oriented strategies. While OZs present investors with a new tool to defer capital gains and, for some, have capital gains forgiven, there are risks that OZs will not be used responsibly. And with all the excitement around them, it’s easy to get caught up. As you explore opportunities to invest in OZs or leverage capital for your OZ projects, remember to think about the social impacts you are generating. Deborah Kasemeyer is a Senior Vice President at Northern Trust, a $100 billion financial institution headquartered in Chicago, Illinois which is a leading provider in wealth management, asset servicing and asset management with assets under custody of US$6.1 trillion and assets under management of US$875 billion. As the Director of Community Development & Investments, she oversees the Bank’s community development activities in 19 states and Washington D.C. and a community development investment portfolio of over $600 million. A member of the Board of Directors of National Association of Affordable Housing Lenders (NAAHL) and IFF, she graduated from DePauw University with a B.A. in Economics. 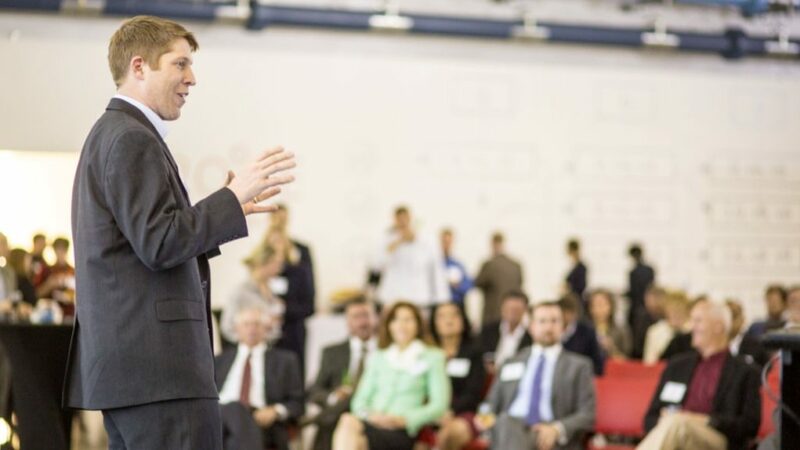 The Georgia Social Impact Collaborative (GSIC) provides resources to connect, educate and inspire stakeholders for the purpose of accelerating the development of Georgia’s impact investing ecosystem. Recently, GSIC announced the launch of the Georgia Social Impact Map (the “Map”), an interactive platform designed to connect and educate stakeholders interested in accelerating impact investing for social outcomes. Intended as a resource for communities around the state, the Map connects new forms of capital to sustaining and scaling solutions to social challenges. GSIC also provides workshops and programming for training specific groups of stakeholders on ways to leverage impact investing to achieve their impact goals, such as the workshop described below, which was attended by 30 leaders of some of GA’s top social enterprises and nonprofits. What If We Only Paid for Success? Join the Chubb Foundation for their Inaugural "Pitch Night" in partnership with Active Youth Academy, an Atlanta Public School after school program, on Thursday, March 28 from 6-9 p.m. at The Gathering Spot in downtown Atlanta. 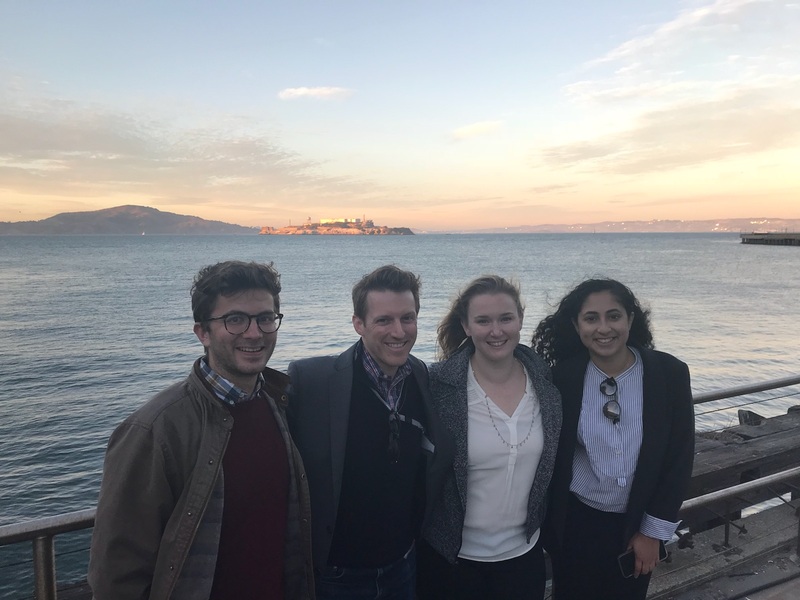 "Pitch Night" is the final part of "Moving the Needle," a 10-week program for students focused on entrepreneurship, which culminates in a presentation of their business ideas to businessmen and businesswomen in a "Shark Tank" inspired presentation. Jeannie Tarkenton, Founder and CEO of FundingUniversity, posits a bold challenge to impact investors: "Invest more seed capital in exchange for more equity." Why is this especially important now? Due to a number of factors, “Seed Stage” investments are slowing significantly, and show no signs of bouncing any time soon (see graph below). Design thinking, or human centered design, is a powerful tool we can use to change the world. At this year's ATL Social Innovation Jam, you can join students, nonprofit leaders, designers, advocates, policy influencers, changemakers, and entrepreneurs and “jam” to innovate, collaborate, and create for social change. Together, over 48 hours, you will learn and implement design thinking tools to uncover new ways to achieve 3 of the UN’s Sustainable Development Goals in Atlanta. "When we think about investing, it’s pretty mathematical: Money in hopefully leads to more money out. But impact investing has been changing that game. Impact investors, while seeking good returns, also celebrate the relationships and support they can bring to bear. That said, the nomenclature around impact investing is inadequate because it’s not just about making connections when something is looking to grow; it’s about creating a robust ecosystem for those things to take root, grow and propagate. Impact investing starts before a dollar is invested, and I think it’s time for impact-focused organizations to adjust our language." A great piece from The Resolution Project Co-Founder and CEO George Tsiatis on the power of building ecosystems around social entrepreneurs. By building initiatives that align funders, partners and integrated resource groups, we can build stronger ecosystems that enhance growth. The GoATL Fund was established as the Community Foundation for Greater Atlanta’s first immersion into the impact investing space. The fund provides cost-effective loan capital to address critical needs in the community, from healthy, safe housing for every family to new schools for 21st century learners and more equitable access to living-wage careers. GoATL is based on the idea that strategically invested capital can achieve both a positive social impact and a financial return. How am I making money? How am I investing and spending it? Am I spending money on ethical consumption or am I contributing to our impending ecological crisis? Do I have a giving strategy that is proportionate to the amount of money I save? 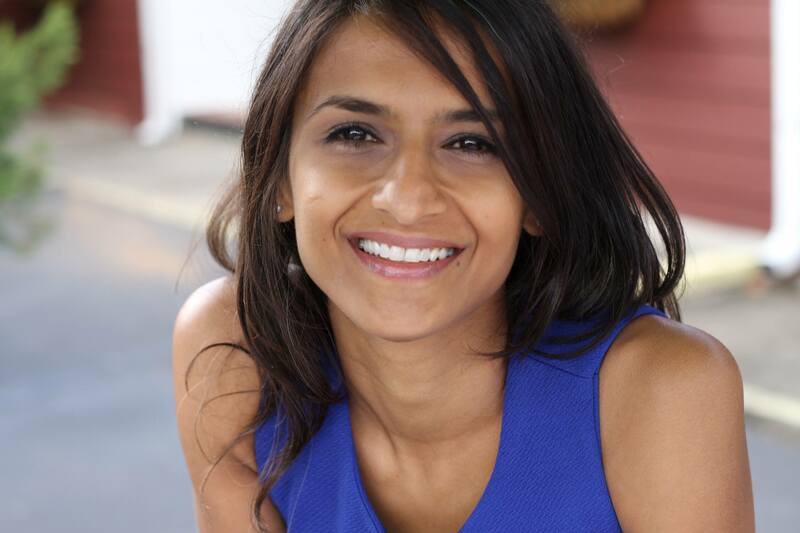 Nikishka Iyengar, the Founder and CEO of The Guild, wrestles with these questions and seeks to understand how she is tracking her own personal impact. Tomorrow from 6-8:30 pm, join Emory University Goizueta Business School's Social Impact Speaker Series as they team up with the Aspen Network of Development Entrepreneurs (ANDE) for a talk on "Accelerating Impact-Oriented Entrepreneurs" with Professor Peter W. Roberts. How do you measure the social impact of technology investment? It’s a big question TechBridge has been working to answer for nearly 25 years. Inspired by efforts in the social impact arena to quantify the value of social investments in dollar terms, through metrics such as Social Return on Investment (SROI) and Impact Multiplier of Money (IMM), TechBridge has developed an internal tool, referred to simply as the “ROI Calculator,” to demonstrate the value of our technology investments in terms of dollars saved, hours saved, and additional clients served over a 5-year period. “Everything has a bottom line, and understanding the power of finance can help to make your goals and dreams achievable, especially for smaller businesses and entrepreneurs,” says Nicholas Forest, project manager and Enterprise Rose Fellow at Quest Community Development Organization. The Atlanta gathering is the first in a series of localized workshops on the intersection of capital and social justice to be hosted in six cities.